Commercial Wedding Photography & Films. For Saeed Aalami, his passion for photography can be traced back to high school. His focus was on capturing moving images though, and studied cinematography at Capilano University in Vancouver. He ended up in film school and worked in various countries around North America until he realized one day, after pushing buttons behind a computer for 3 years, he “felt like [his] creative side was literally fading away.” So, Aalami left his secure, well paying job to give him time to think about his future. He realized in this time of contemplation that he missed capturing images and hadn’t done so in many years. So in 2011, knowing very little about still photography, he purchased his first DSLR, a Canon 60D. He didn’t touch the camera until he read the manual from cover to cover. Now, just a few short years later, Aalami is an international destination wedding photographer, with 60% of his weddings in different countries. 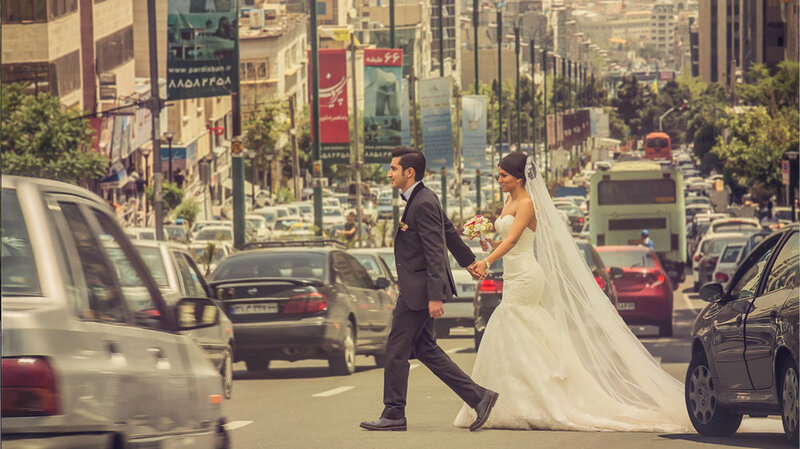 Aalami was kind enough to chat with us about how he got from picking up his first camera to a sought after and very talented wedding photographer with a Facebook following of over 40,000 people. He shares with us images from his last wedding in Iran, where a bride cannot be out in her wedding dress in the streets and it is forbidden to hold a camera in public without a permit.